If Indian cuisine stirs your taste buds, then look no further. 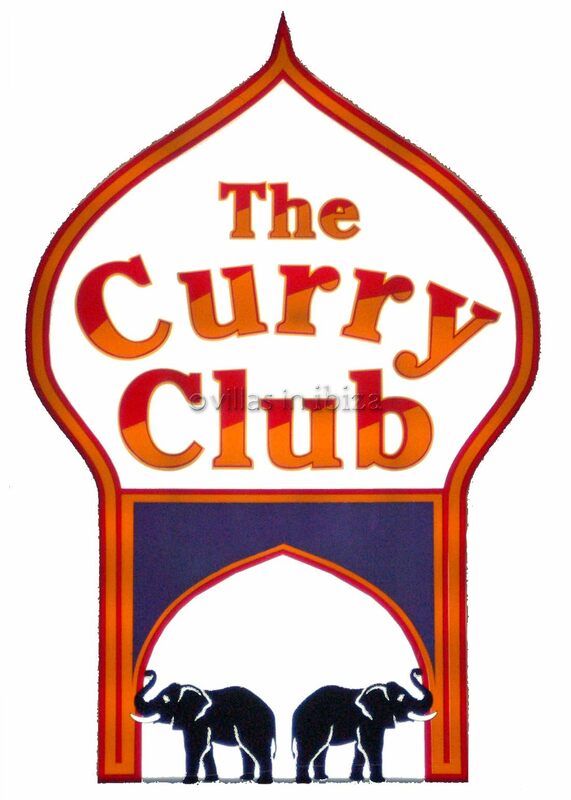 Whether it's hot and spicy or something a little easier on the mouth, San Antonio’s Curry Club won’t disappoint. 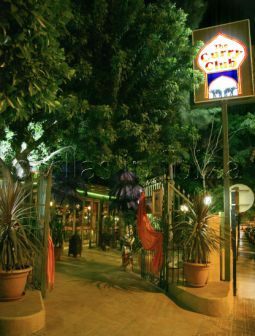 The Curry Club is situated just a few minutes walk from Café Mambo & Café Del Mar, making it easy to get to straight after sunset. Alongside the fantastic curry’s, great lengths have been taken to perfect the décor. 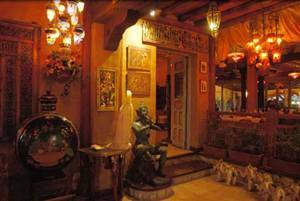 The staff are friendly, the food is great and the décor looks fantastic. What more could you ask for. Superb food in a fabulous setting. Went along to the Curry Club early evening with a friend. The atmosphere made you want to stay and eat. The restaurant was already beginning to get busy but you didn't feel rushed. The service we received was very good and the food was excellent. I have eaten curry's in different parts of the world and this was up there with the best. The setting is in a vibrant part of San Antonio but layed out in a very relaxing way. The tables were set out in a way that gave a sense of having your own space but at the same time included you in the atmosphere of the restaurant. The Curry Club is a place I would recommend for a very enjoyable evening of great food and atmosphere. 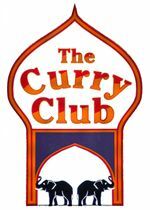 I went to the curry club for a meal with friends. I was very impressed by the service which was friendly and very helpful. The setting was great its like a little peaceful oasis away from the madness of san an. The food was great we all enjoyed it greatly. I would recommend this resteraunt as must if your into your curry. Do Not Visit This Restaurant. Well it all started by the 4 of us to go for a curry. Coming from an Indian background and loving my curries We thought it would be nice to have a meal. The place is really nice looking but as soon as we got to our table we were in for a massive night of just terrible service. I don't want to get into great details but the waiters were rude and ignorant. They refuse to make traditional curries with spices and preffered to make it with rubbish jar sauce. They messed up our order and bought starter and mains together and put it on top of each other on a square table expecting us to eat it all. Food was cold and generally tasted of left overs. We paid only for what we ate and got really bad abuse. I advise everyone to stay away. Do not go anywhere near the place.